Woebcken, pictured, worked at BMW under current VW brand boss Herbert Diess. BERLIN (Reuters) -- Volkswagen has picked ex-BMW manager Hinrich Woebcken to run the North American business of its core brand as the automaker faces growing criticism of its handling of the emissions scandal in the United States. Woebcken's appointment aims to strengthen the VW brand's operational performance in North America, where it has been grappling with legal and image problems since it admitted last September to installing devices to cheat emissions tests in several diesel vehicle models. Woebcken will oversee Michael Horn who remains head of VW Group of America, a position he has occupied since 2014. Horn is responsible for VW and the group's other brands in the United States, including Audi and ultraluxury marques Bentley, Lamborghini and Bugatti. 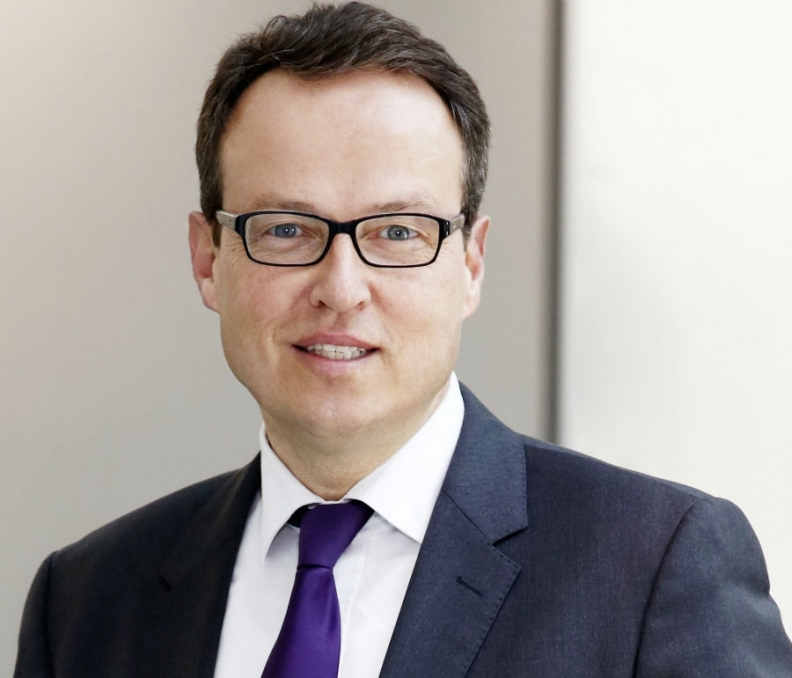 Woebcken, 55, ran global purchasing besides other positions in his 10 years at BMW. At VW he will head efforts to coordinate development, procurement, production and sales activities in the United States, Mexico and Canada, VW said in a statement on Tuesday. He will start his new post on April 1. "The U.S. is and will remain a key market for the VW brand," said VW brand CEO Herbert Diess, also a former BMW executive. "That's why the North America region must be steered in the interest of our customers and dealers there," Diess said in the statement. The VW brand has long struggled in the United States, where its failure to develop new models quickly and a lack of crossover vehicles have left it a niche player behind rivals such as General Motors, Hyundai and Toyota. Four months after the diesel emissions scandal broke, there is no timetable for winning approval of a fix for about 500,000 affected U.S. cars, or for lifting the government's ban on the sale of 2016 VW diesel models. The U.S. Justice Department this month sued Volkswagen for up to $48 billion for allegedly violating environmental laws. Woebcken, an industrial engineer, last year quit Germany's Knorr-Bremse Group , a manufacturer of braking systems for rail and commercial vehicles, after about 15 months. Prior to his stint at BMW, he was managing director at industrial systems and automotive supplier Duerr. Woebcken worked for BMW's purchasing division when Diess was the unit's chief. Last September, VW picked group veteran Winfried Vahland, previously head of Czech brand Skoda, as new head for the North America region as it pushed a policy to cede more power from its headquarters in Wolfsburg, Germany to regional and car brand divisions. But Vahland, who had previously been seen as a possible candidate for the VW Group CEO post, quit three weeks later. A source said at the time that Vahland left the company because his new position failed to win him a role on the group's management board. Woebcken was not named to the VW brand's management board, a VW spokesman said on Tuesday. Separately, VW said CEO Matthias Mueller has the backing of top players on the automaker's supervisory board who questioned Mueller on Tuesday, dismissing rumors that support for the CEO is crumbling due to his handling of the emissions crisis in the United States. VW plans to hire Louis Freeh, former head of the Federal Bureau of Investigation (FBI) to help it deal with U.S. authorities investigating the scandal, the Sueddeutsche Zeitung daily of Munich reported on Monday. But VW's powerful labor representatives, who control about half the seats on the carmaker's supervisory board that appoints and dismisses executives, will not support a possible appointment of Freeh, said one labor representative who declined to be named. "We have (a new compliance chief) Christine Hohmann-Dennhardt to handle this ambitious task," the labor official said. "We see no further need" for special hirings, he said. The issue may add to tensions between VW's top management and the carmaker's labor leaders at a time when both sides are struggling to find ways to contain the multi-billion-euro costs of the scandal. "The company plans to hire further external specialists to deal with certain issues in the U.S.," VW said, adding that a decision will be taken in coming weeks.